Scarlet Lips (a.k.sa. "Bouche Rouge") is a "lamia" (a vampire), a member of the Twilight People who came to Earth millions of years ago. She is immortal, and does not age as long as she drinks blood. Her bite does not turn her victims into vampires. 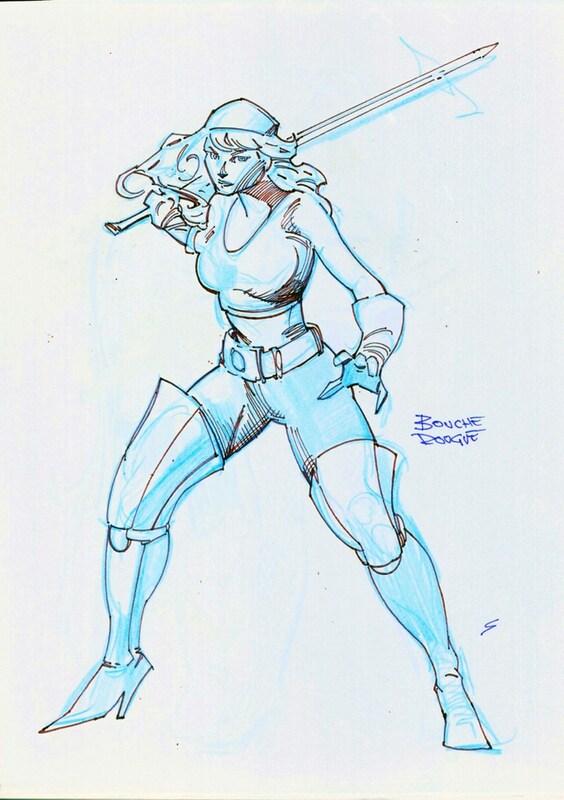 She is super-strong and a supremely skilled fighter, proficient with all types of weapons. She is very hard to kill, thanks to her prodigious regenerative healing factor. She has mild powers of hypnosis effective on humans (especially if they are unaware of it) and animals. She does NOT turn into bat, wolf, fog, etc. nor is she afraid of religious symbols. Scarlet Lips is loyal to her lovers and fiercely independent, selfish to the point of savagery. She respects only Stormshadow and fears only Kruge, both of her race. Beyond these two, she fears no one and behaves only according to her whims. She has little interest in "good" or "evil" as men define them, and only care about her own personal agenda, which usually involves love/lust, revenge against her enemies, and (surprisingly perhaps) a deep appreciation for the arts. She enjoys being a patron of the arts, when she doesn't behave like a pirate. Scarlet Lips was found as a baby by the Croatoan tribe of werewolves in their island in the Azores in the mid-1500s. Her exact origin remains mysterious. She is obviously a child of the Twilight People, but the identity of her parents is unknown. When she reached puberty, the Croatoan discovered she was a lamia and provided her with herbs to lead a normal life. The Croatoan themselves being a tribe of werewolves from the Twilight People, they knew these sort of things. When the evil Capitan Garsio attacked the Croatoan, Scarlet Lips freed Dragut, the Barbary Coast Captain of the Cheitan, and, together, they drove away the pirates. She then became Dragut's lover and First Mate and, together, they fought the the Purifiers of the Holy Providence and many other enemies. They teamed up with the Guardian of the Republic against the Necromancer. 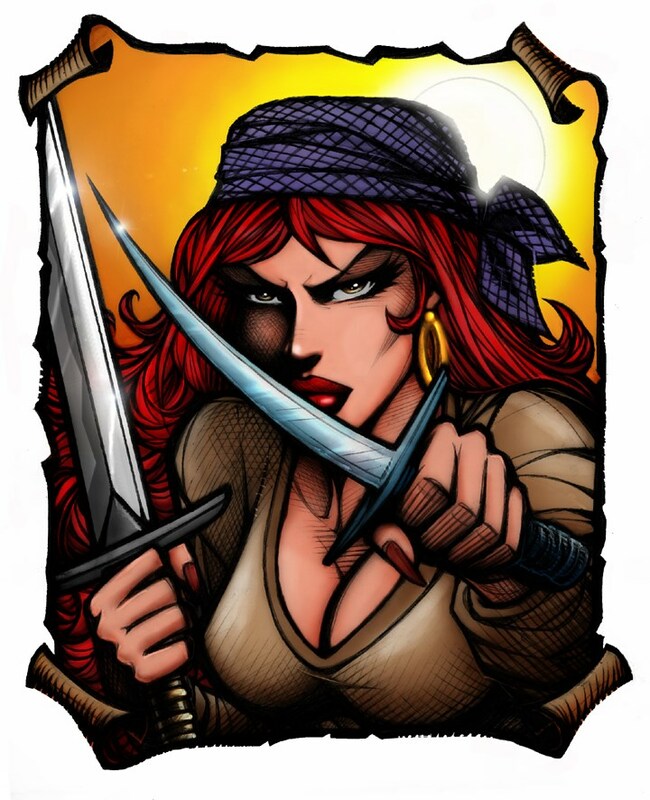 Scarlet Lips first ran afoul of the mysterious organization calling itself The Dawn with Dragut in Venice in 1562. The Dawn was led by the Norwood Clan and sought to steal the secrets of immortality from the Twilight People. Cagliostro, one of the Twelve Immortals and Dragut's master, then sent the Barbaresque to the New World. Scarlet Lips joined him and spent thirty years in America until Dragut's death. She returned to Europe in 1638 and had another encounter with The Dawn. 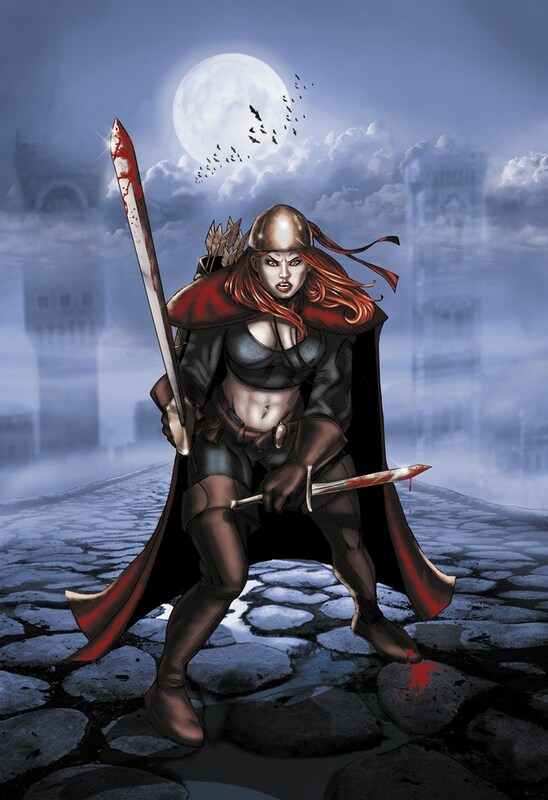 Scarlet Lips resurfaced in the late 17th century when she was a notorious freebooter and fought the French swordsmaster Lucas de Merignan, a.k.a. the Black Lys, who defeated her and almost got her hung. The Black Lys abandoned her on a desertt island. This was the beginning of the ages-old feud between her and the de Merignans. In 1789, Scarlet Lips had yet another encounter with The Dawn. She returned to America to seek Stormshadow's counsel and did not return to Paris until the late 1840s. In 1850, She fought Count Pierre de Clermont, a.k.a. 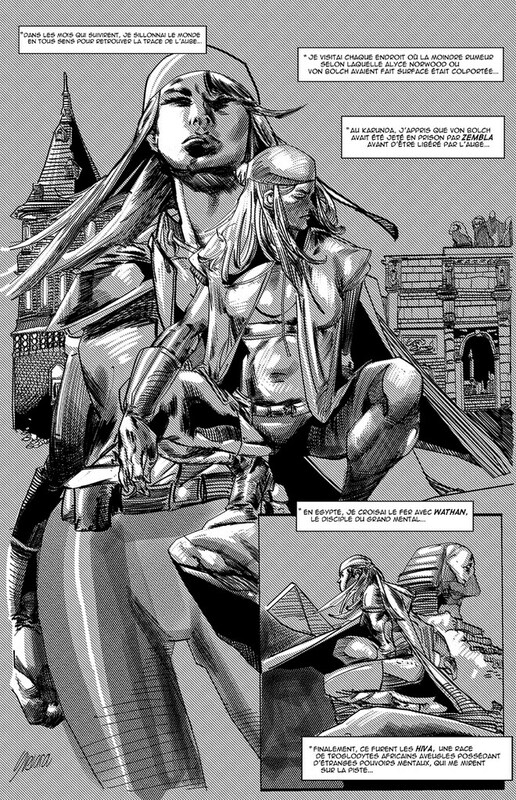 the Night Prince, and his lover, Valentine de Merignan (the Black Lys of her era), whom she killed . In the 1940s, Scarlet Lips fought Ludovic de Merignan, the then-Black Lys, several times, thwarting an unsuccessful attempt at killing her in Evenos in the South of France. She pretended to ally himself with the Nazis, unaware that Baron Von Bolch was secretly working for The Dawn. Purely to revenge herself, she joined a group of "super-nazis" known as the Grotesques, intent on stopping the Allied; they were defeated in June 1944 by the group called The Partisans; Ludovic de Merigan succeeded in killing Scarlet Lips. 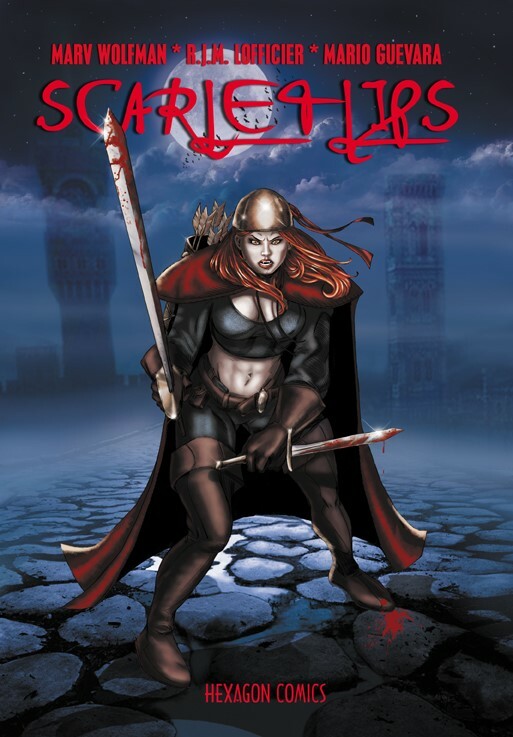 Scarlet Lips was resurrected by Alyce Norwood in 2014. Her blood was the last ingredient Von Bolch needed to complete his project; however, she escaped, killed Alyce, destroyed The Dawn, and has been hunting for Von Bolch ever since. She crossed the path of Wathan in Egypt. The current Black Lys, Cendrine de Merignan, has now become aware of Scarlet Lips' return. Recently, Scarlet Lips teamed up with Morgane and Futura to fight the Demon Queen Mauve and finally achieved her vengeance on Baron Von Bolch.